The Netherlands moved a step closer to retaining their World Cup title after beating Northern Ireland in the quarter-final. Vincent van der Voort and Raymond van Barneveld both won their singles matches before joining forces to win the pairs to set up a semi-final clash with Australia. Vincent van der Voort produced a brilliant fight-back against Brendan Dolan to claim Holland’s first point of the quarter-final. The fastest player in the world had to win three consecutive legs, two of which were against the throw, to claim victory from the jaws of defeat. ‘The Dutch Destroyer’ took out a neat 76 checkout to level after Dolan had won the first leg. The Irishman won the next two legs to open up a 3-1 lead in the race to four. Van der Voort hit double sixteen in consecutive legs to force a decider. The Dutchman hit a 180 in the final leg before hitting double three to win the match, giving the Netherlands a one point lead overall. 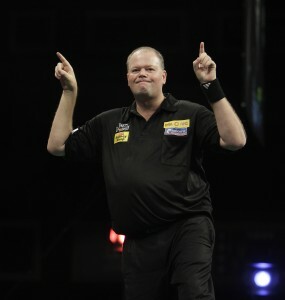 Raymond van Barneveld produced another strong display to overcome Northern Ireland’s Micky Mansell. The defending champion trailed twice in the quarter-final tie but hit back to make it two wins out of two for Holland in the singles. Mansell won the first leg before ‘Barney’ hit tops to draw level. The Irishman then hit the same double to go back in front. Van Barneveld restored parity with a tidy 97 finish. He followed it up with a maximum and then hit double eight to take the lead for the first time. The five time world champion hit double sixteen to seal the win and double his nation’s overall lead, meaning the best Northern Ireland could hope for from the doubles was to force a sudden death leg. Raymond van Barneveld and Vincent van der Voort made it four points out of four in the quarter-final with victory in the pairs. The Dutch team won a final leg decider against Northern Ireland’s Brendan Dolan and Michael Mansell to secure their place in tomorrow’s semi-finals. Van Barneveld opened with a 180 and his teammate hit double ten to put Holland in front. Their opponents drew level with a 14 dart leg before van der Voort took out 76 restore his team’s lead. Northern Ireland won the fourth leg to level up once more. ‘Barney’ hit another maximum in response, and then hit double six to edge back in front. Dolan hit double three to force a deciding leg, which Holland won when van der Voort produced a clinical 90 finish. The Netherlands will play Australia in tomorrow’s semi-final. Raymond van Barneveld and Vincent van der Voort joined forces to produce a solid display as they progressed to the quarter-finals of the World Cup. The Dutch pair, defending their nation’s title, saw off the challenge of Austria with apparent ease. Van der Voort got the ball rolling by hitting double one to win a tense opening leg. ‘The Dutch Destroyer’ then hit double top to move Holland into a 2-0 lead. He then took out 44 to complete an eleven dart leg for the Dutch team. Mensur Suljovic pulled a leg back for Austria with a 121 checkout before van Barneveld hit double ten to move within a leg of victory. 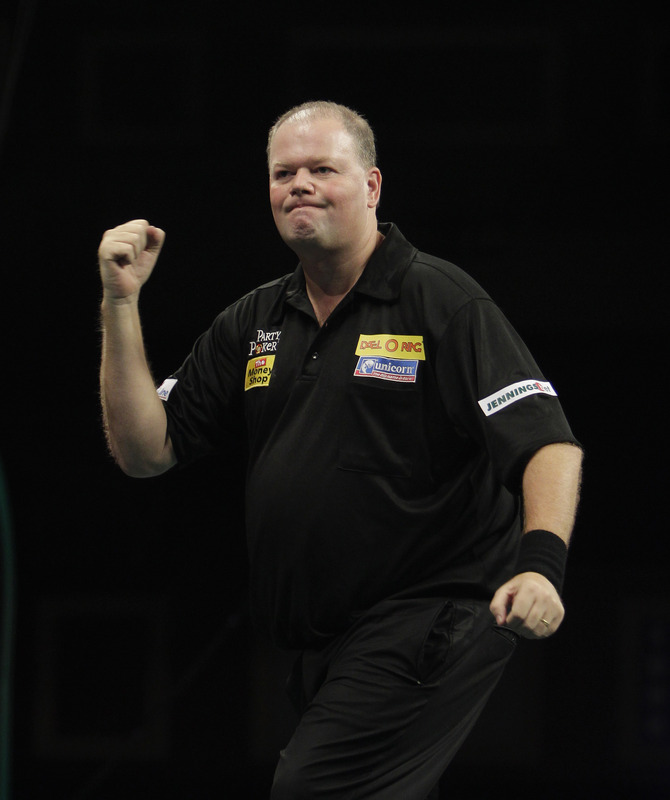 Austria grabbed a lifeline by winning the next leg but ‘Barney’ wrapped up the match with a smooth 76 checkout. The Netherlands will take on Northern Ireland tonight as they bid to move a step closer to claiming their second consecutive World Cup title. 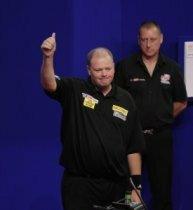 Raymond van Barneveld fought back to see off a spirited challenge from Dietmar Burger in the 2nd round of the World Cup in Hamburg. The five-time world champion had to wait until the early hours of the morning to get on stage and begin the defence of the title he won in 2010. His opponent played well but van Barneveld found an extra gear and claimed the win. ‘Barney’ hit double 16 to edge in front but Burger won the next two legs to turn the game around. The Austrian hit a 180 in the next leg and van Barneveld responded with a 174 before levelling the match. Berger took a 3-2 lead before the defending champion took out a neat 64 checkout to set up a deciding leg. The Dutchman then sealed victory and the first point of the match for his country. Vincent van der Voort suffered a narrow defeat at the hands of Mensur Suljovic in the early hours of Saturday morning in Hamburg. The Dutchman had to wait until nearly 2am to get started and was denied victory despite showing glimpses of his brilliant best. Suljovic took the lead before van der Voort took out 64 to level. The quick-fire Dutchman then produced a stunning 140 finish, much to the delight of the German crowd who constantly sang his name throughout the match. The Dutch Destroyer was pegged back by his Austrian opponent, who won the next two legs to take a 3-2 lead. 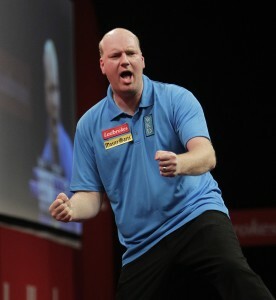 Van der Voort responded with a tidy 48 finish to set up a decider, which Suljovic won with a 14 dart leg. Van der Voort and van Barneveld will be last on stage again today, when they take on their opponents in a doubles decider. Raymond van Barneveld hopes to bounce back from a disappointing World Championship by retaining the World Cup of Darts for The Netherlands. ‘Barney’ won the inaugural tournament in 2010 with Co Stompe, and believes that he can repeat the feat this weekend with Vincent van der Voort. The five-time World Champion wants to recover from his first round exit at the Ally Pally in style by claiming the first major title of 2012. The Dutchman doesn’t feel that a change in partner will have any bearing on his chances of winning the tournament and he believes that teamwork is the key to success. 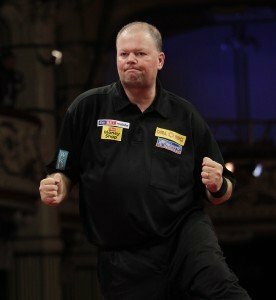 Van Barneveld is confident that he will return to his brilliant best, and hopes he can prove his critics wrong in the World Cup and the upcoming Premier League. He added: “I feel fantastic at the moment. To retain the World Cup would be a fantastic start to the year and I am over the moon to be given a wildcard for the Premier League. I’m working hard to get in top shape. I played quite well in Benidorm last weekend, my scoring was fantastic.